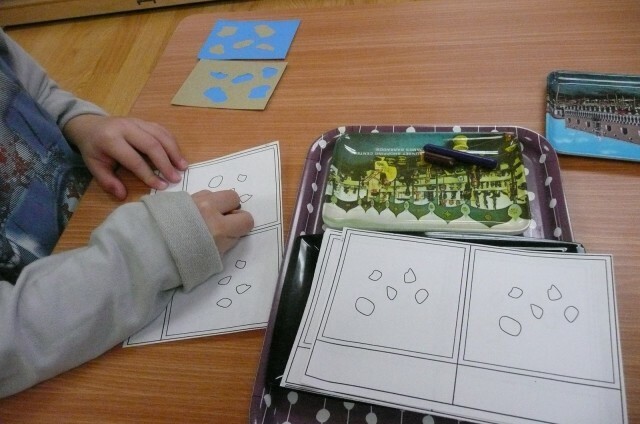 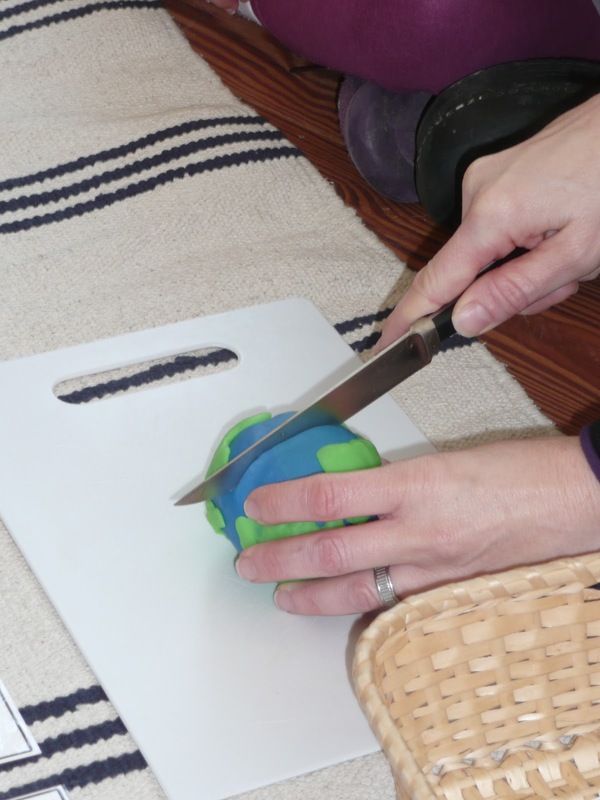 As an extension to this lesson, the children feel the small sandpaper land and water forms and then color a paper to take home. 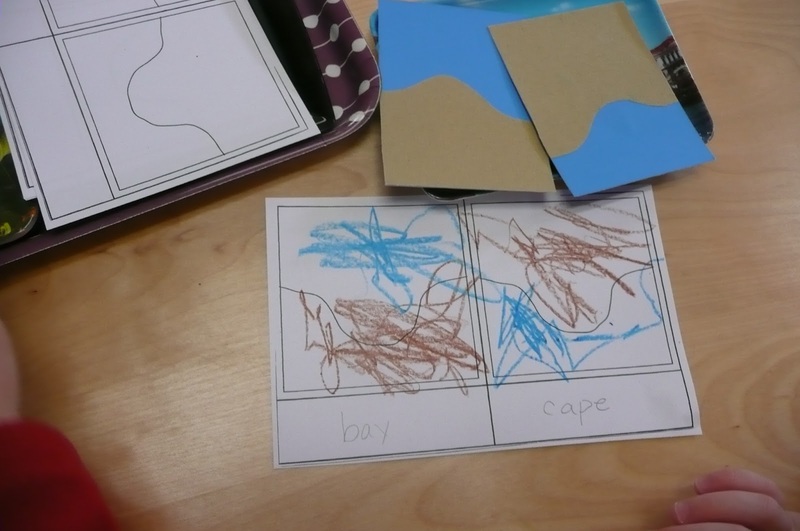 This week we studied cape and bay. The children were given lessons on how to pour water into the different land and water forms. 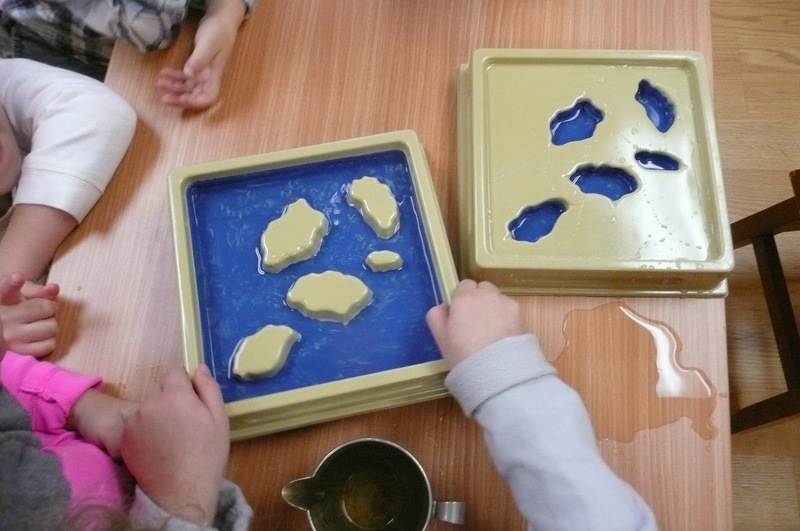 Some children then went on to use the sandpaper land and water forms to give a tactile impression and then color their own cape and bay. 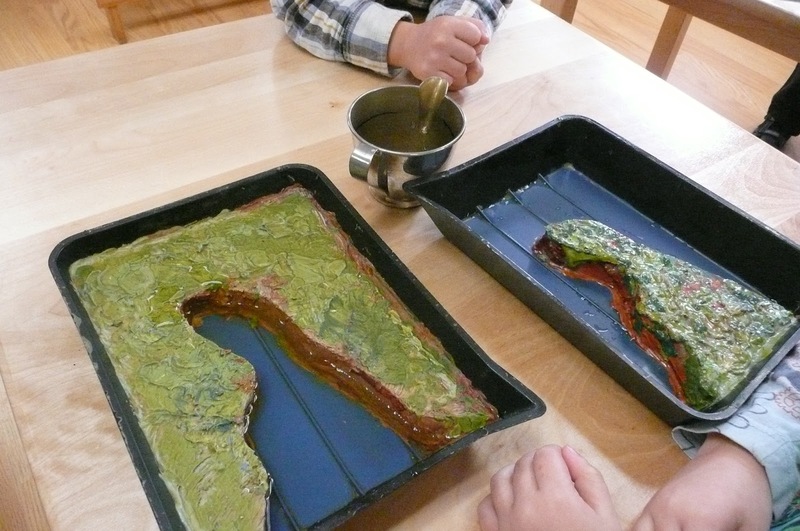 This week we studied Peninsula and Gulf with our land and water forms. 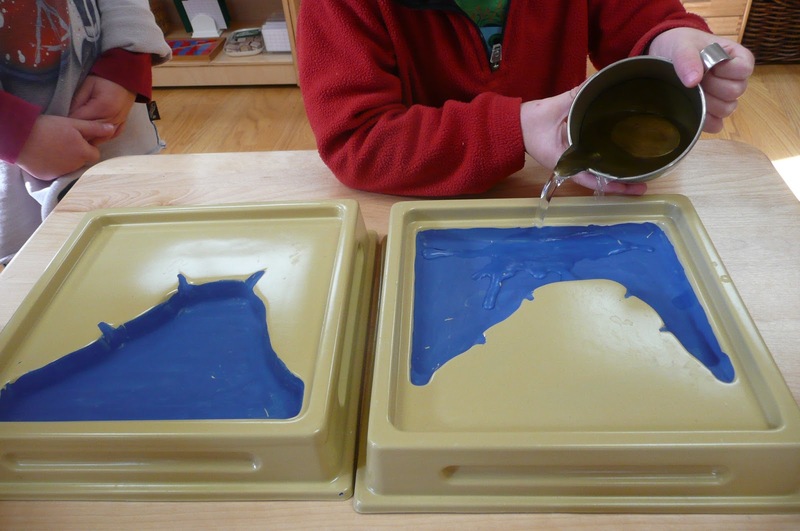 The children love to work with these activities and also learn about pouring! The four layers of the Earth. 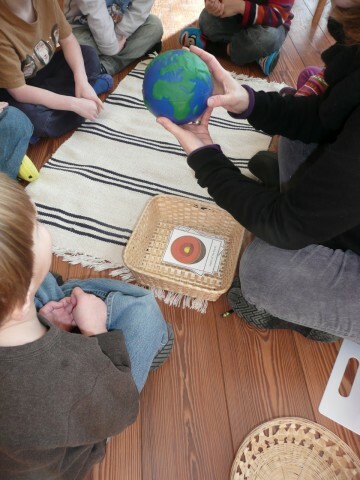 Although most of our lessons are given individually (such as practical life, math and language) at times the children gather in a small group for a special presentation. 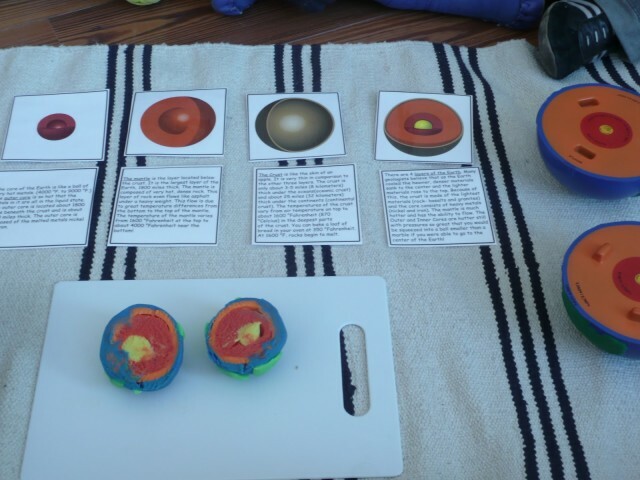 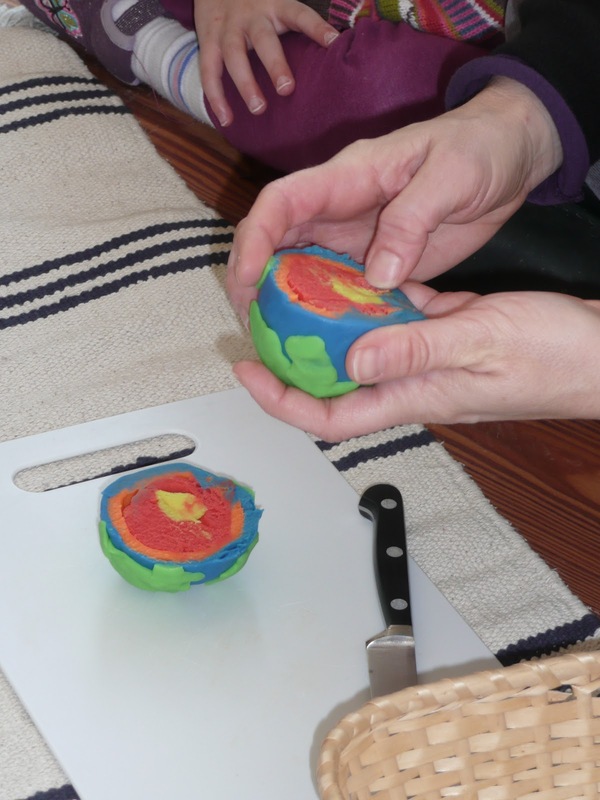 We had purchased a model of the Earth that splits in half and also had printed out our nomenclature cards for the children to match showing the different layers of the Earth. 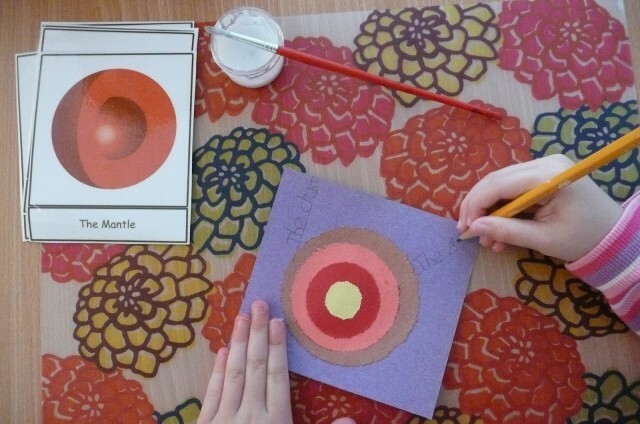 We discussed each layer: the inner core, the outer core, the mantle and the crust. 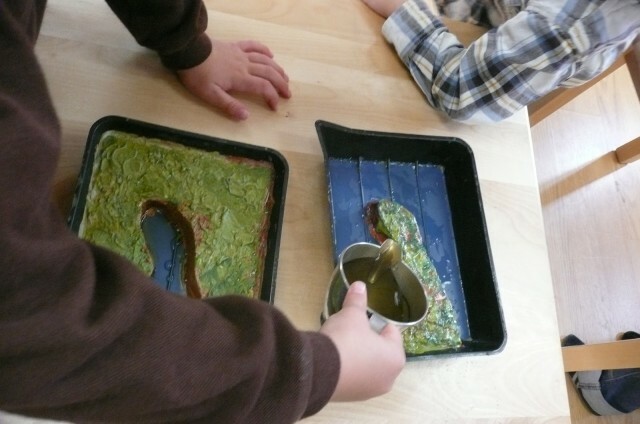 We passed around the two halves and pointed out the different layers. 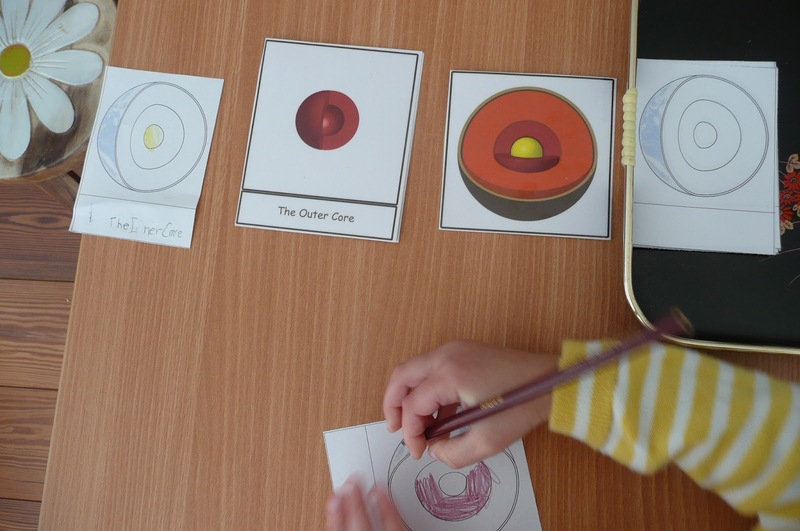 After the presentation, many children chose to make their own Layers of the Earth booklet. One child also pin-punched each layer and glued on to make a little diagram.